Got blocked by one of your contacts on WhatsApp? Or perhaps, you are not sure. 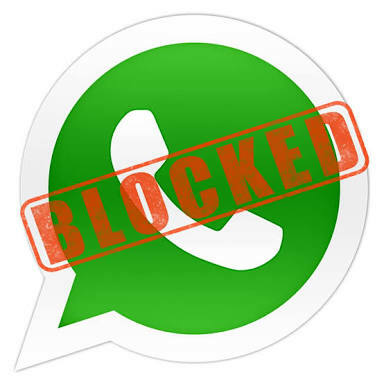 Well, here are 5 simple tricks to know either you got blocked on WhatsApp or not. This shouldn’t come as a surprise, but among all the features that instant messaging app WhatsApp has to offer, one of them is blocking a contact you no longer wish to talk to. OK, so you are suspecting one of your contact to have blocked you, how do you know for sure? This is the first and the easiest way to check if you have been blocked. While just this is no confirmation as the contact may have just changed their “last seen” settings, but it is definitely among one of the indicators. In case you are blocked on WhatsApp, a user’s profile picture will never change to you and you will always see the photo that they put when they were chatting with you. If you can’t see the changes, you may have been blocked. Of course, WhatsApp won’t allow you to add a number who has already blocked you to a WhatsApp created by you. So trying to create a WhatsApp group, and adding the suspected friend could hint either your friend did block you or not. Try to make WhatsApp group with the contact you feel has blocked you. If you are greeted by a message saying “you are not authorized to add this contact,” then you have been blocked for sure. In summary, whatever reason that is making you to suspect that someone hit on you, it is important to note that all the steps above are more of trial by error. Nothing really strong to rely on that you’ve been truly blocked, as even simple network hitches could result to any of the above.